WORK is nearing completion on the £1m refurbishment of the former Belfast Central Station. 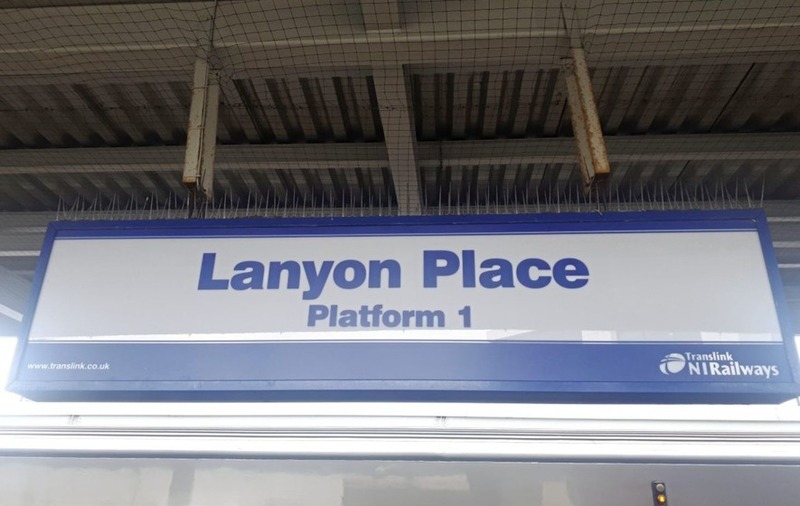 New frontage and signage is in the process of being erected for the enhanced facilities at Lanyon Place Station. The £1m project has seen the station frontage transformed, making it more welcoming and passenger-friendly, as well as being a potential catalyst for further development in the area. The new name is taken from the nearby ‘Lanyon' district, itself named for the noted Victorian architect Sir Charles Lanyon, who was responsible for some of Belfast's finest buildings. The name also better reflects the station's location at the heart of Lanyon Place. Over 2.8 million passengers used Lanyon Place Station in 2017/18, and the latest investment in the station is part of Translink's aim to be the first choice for travel in Northern Ireland.